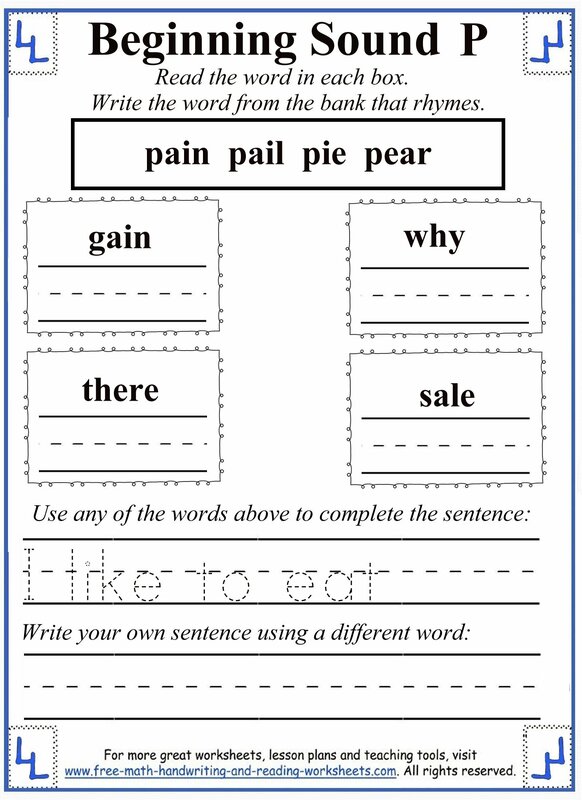 Each letter P worksheet below has been designed for specific skill levels. You'll find papers that are tailored towards preschool-aged children that are just beginning to learn their letters. Preschool and kindergarten kids that already know their letters can tackle the cutting and pasting activity or writing tasks. 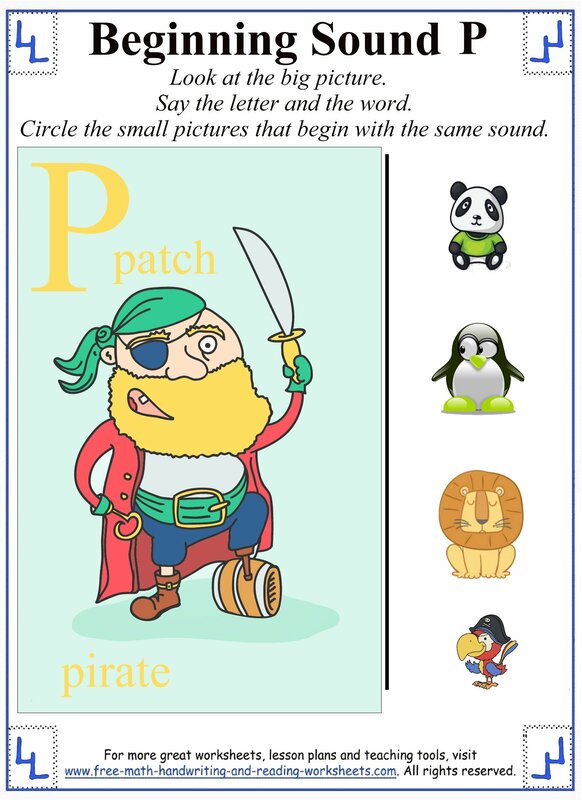 Whatever the skill level, there are sure to be some worksheets here that can help teach or reinforce the letter P.
Click on the images below to open a printable file in another tab. If you've been using my other consonant worksheets, then you should know what you're in for by now. If not, I'll explain each one a bit here and then you can start printing out your papers. The first worksheet shows the letter P and a couple of words that begin with the p sound. Say the words and the letter. Have your child repeat the sound and words after you. 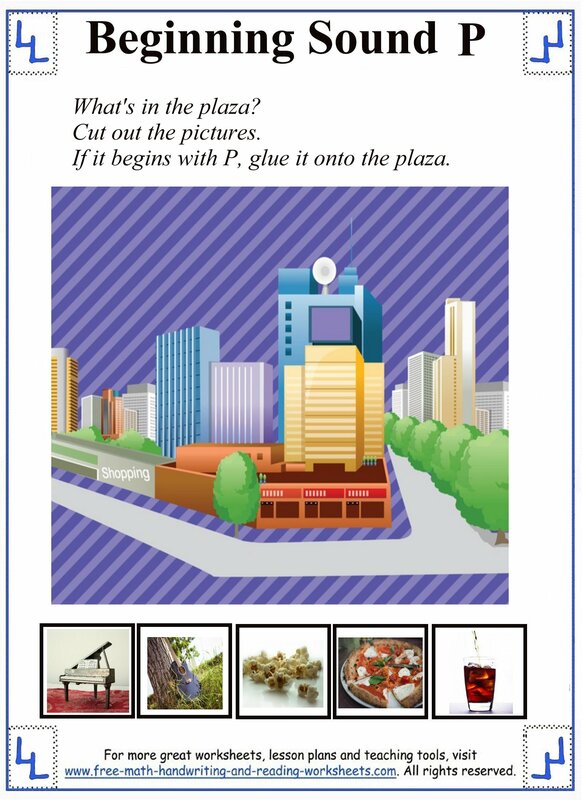 Then name the objects on the right and have your child circle the ones that begin with P.
Next is a good fine-motor skill activity. Your child will need to cut out all of the pictures. Again, help her with naming them. 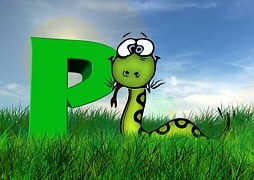 If an object begins with the letter P, paste it onto the paper. 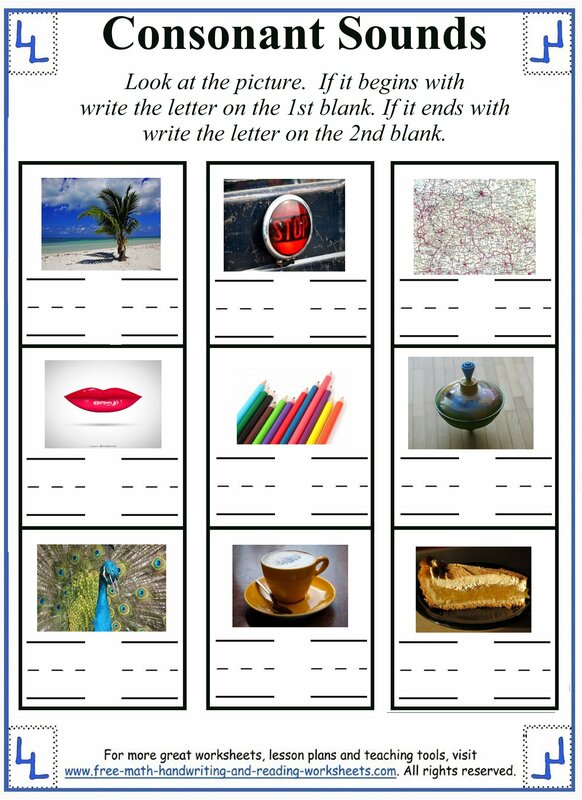 The third worksheet has three pictures with four words next to it. Circle the word that best describes the picture and then write the word on the line. Then you'll see a rhyming activity. At the top of the paper is a box with four words in it. Each word rhymes with another word below it. Write the correct word in each box. 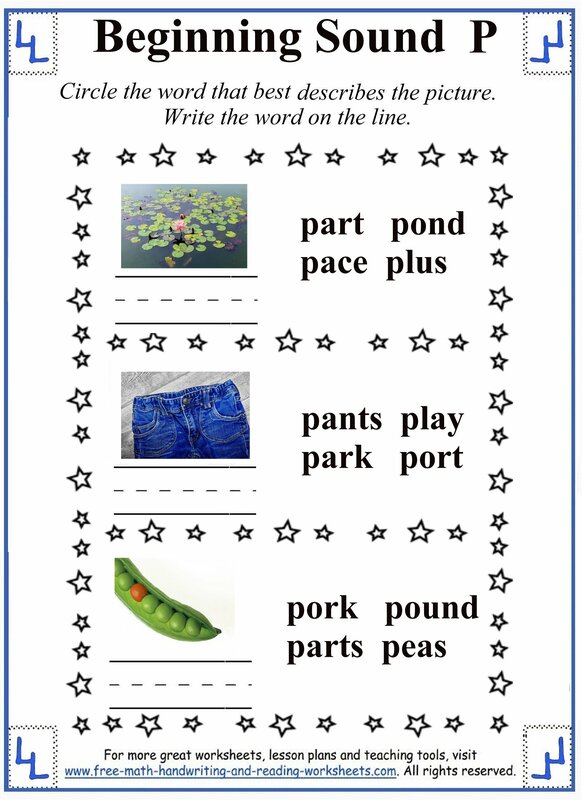 Complete the sentence using one of the P words, then write an original sentence with another P word. The 'Consonant Sounds' paper introduces the ending sound that p makes. Name each picture and if it begins with P write the letter P on the first line. If it ends with p, write it on the second line. 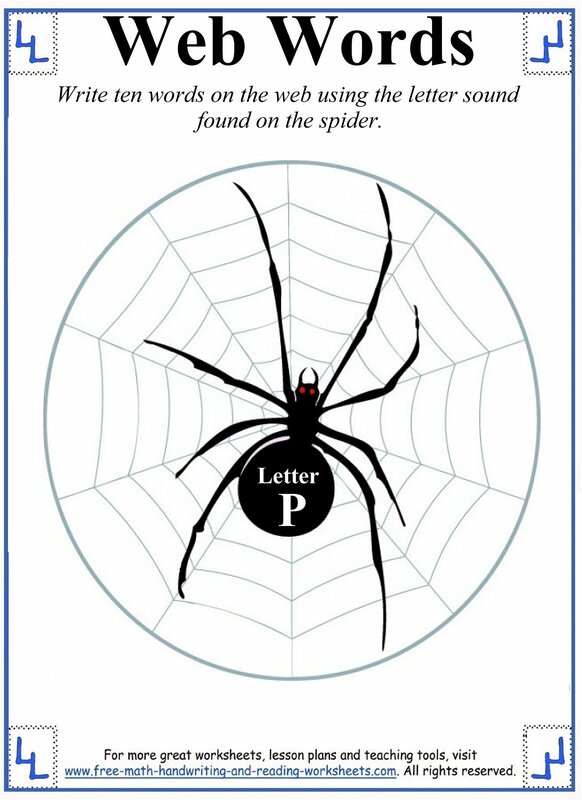 The Web Words printable is a fun activity for your child to get creative with. Have him write ten words that begin with P--one on each section of the web.